The stories in A Manual for Cleaning Women make for one of the most remarkable unsung collections in twentieth-century American fiction. Stephen Emerson, its editor, talks about the emotional depth and liveliness of Lucia Berlin's writing. 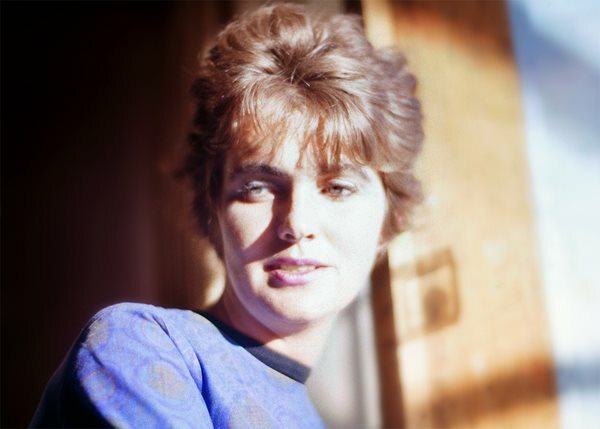 Lucia Berlin was as close a friend as I’ve ever had. She was also one of the most signal writers I’ve ever encountered. The latter fact is what I want to write about here. Her extraordinary life—its color, its afflictions, and the heroism she showed especially in the fight against a brutal drinking habit—is evoked in the biographical note at the back. Lucia’s writing has got snap. When I think of it, I sometimes imagine a master drummer in motion behind a large trap set, striking ambidextrously at an array of snares, tom-toms, and ride cymbals while working pedals with both feet. It isn’t that the work is percussive, it’s that there’s so much going on. The prose claws its way off the page. It has vitality. It reveals. An odd little electric car, circa 1950: 'It looked like any other car except that it was very tall and short, like a car in a cartoon that had run into a wall. A car with its hair standing on end.' The car was tall and short. What her work has, is joy. A precious commodity, not encountered all that often. Balzac, Isaac Babel, García Márquez come to mind. When prose fiction is as expansive as hers, the result is that the world gets celebrated. Out through the work, a joy radiating off the world. It is writing continuous with the irrepressibility of—humanity, place, food, smells, color, language. The world seen in all its perpetual motion, its penchant to surprise and even delight. About this 'joy': no, it is not omnipresent. Yes, there are stories of unalloyed bleakness. What I have in mind is the overriding effect. 'We got to the rise, with the wide valley and the Rio Grande below us, the Sandia Mountains lovely above. Also like a Janis Joplin ballad, that ending has lilt. Of course, at the same time, a riotous humor animates Lucia’s work. To the topic of joy, it is germane. Unsurprisingly, readers of Lucia’s work have sometimes used the term 'black humor'. I don’t see it that way. Her humor was too funny, and it had no axe to grind. Céline and Nathanael West, Kafka—theirs is a different territory. Besides, Lucia’s humor is bouncy. But if her writing has a secret ingredient, it is suddenness. In the prose itself, shift and surprise produce a liveliness that is a mark of her art. Her prose syncopates and hops, changes cadences, changes the subject. That’s where a lot of its crackle is. Speed in prose is not something you hear much about. Certainly not enough. Compiling the stories for this book has been a joy in countless ways. One was discovering that in the years since her last book and her death, the work had grown in stature. Black Sparrow and her earlier publishers gave her a good run, and certainly she’s had one or two thousand dedicated readers. But that is far too few. The work will reward the most acute of readers, but there is nothing rarefied about it. On the contrary, it is inviting. Still, the constraints of a small-press audience may, at the time, have been inevitable. After all, Lucia’s whole existence occurred, pretty much, outside. West Coast bohemia, clerical and blue-collar work, laundromats, 'meetings', stores that sell 'one-shoes', and dwellings like that trailer were the backdrop of much of her adult life (throughout which, her genteel demeanor never flagged). And it was, in fact, 'outside' that gave her work its special strength. Bay Area, New York and Mexico City [were the] only places I didn’t feel I was an other. I just got back from shopping and everybody kept on saying have a great day now and smiling at my oxygen tank as if it were a poodle or a child. Myself, I can’t imagine anyone who wouldn’t want to read her. Lucia Berlin's A Manual For Cleaning Women is out now.